We are a small sole proprietor operation specializing in performing high caliber work in the greater Main Line and Philadelphia regions. We are fully insured and pride ourselves in meeting and exceeding our customers' expectations. We are always happy to offer free interior and exterior painting estimates to help meet your needs. 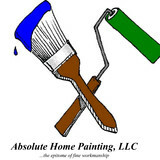 "Absolute Home Painting: the epitome of fine workmanship"
VN Faux Painting is a family operated business that has been established for many years. We pride ourselves on delivering high quality work to our clients. Our goal is to create homes that are as unique and inviting as the people living in them. So that every time you come home its like going on vacation to some exotic paradise. At MORTON Painting we work with sincere care in your home every step of the way. We care for your home as if it was our own and that is what makes the MORTON difference! We always use professional procedures and take the time to ensure that the repairs and preparations we do will be long lasting. Our Painting and work is always backed by our Full MORTON warranty! Tom McCloskey Painting and Restoration Inc.
Tom McCloskey and his crew have been providing exceptional interior and exterior painting and restorative work for over twenty years. A graduate of the Pennsylvania Academy of the Fine Arts, Tom McCloskey knows the importance of detail without loosing sight of the grand vision. It is our goal to provide the highest level of craftsmanship and to help our client’s reach their creative goals for their home. Patch and Paint Pros is a local, award winning Conshohocken wall repair and painting company. We believe customers receive the best service at a reasonable price when working with a locally owned, private company like Patch and Paint Pros. Our employees are friendly, clean, and work well around children and pets. Free wall repair and painting estimates for all residents of Conshohocken, Plymouth Meeting, Lafayette Hill, Villanova, Bryn Mawr, Gladwyne, Blue Bell, Ambler and the surrounding areas. With over 10 years of experience serving the Philadelphia Metro area, BD Painting, LLC, is your solution for all your exterior/interior painting needs. We take great pride in our extreme professionalism, timeliness and superior customer service on every job. We make sure to develop a lasting relationship so that the next time service is needed there will be no question on who to call. Satisfaction guaranteed! We specializes in all phases/Facets of Interior and Exterior Painting. At BD Painting, we understand that your home is the greatest investment of your lifetime. We are honored when you entrust us with the responsibility to restore, beautify and protect it for you. We will treat the exterior of your home like we do your interior, with great care. Good surface preparation is essential for a lasting paint job. We guarantee the highest level of craftsmanship. All surfaces will be prepared the right way before applying any paint! To provide you with the highest quality paint job. BD Painting is owned and operated by Antonio Carlos. 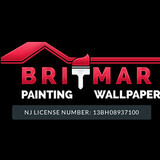 I worked in a South Jersey renowned painting company for 8 years. And now I have started my own business. Our top most priority is customer satisfaction. We accomplish this by superior customer service, high quality workmanship and the use of only top grade painting materials. We provide free professional color consultations with all projects. Quality and satisfaction is our main priority! At Left Moon Painting we understand the value of not just a great paint job but a great experience as well if you value the experience we are your go-to for any aspect of interior or exterior painting. We do interior and exterior, residential and commercial painting. At CertaPro Painters we provide quality work combined with a great customer service experience. We show up on time and complete the work on schedule. Our team is made up of experienced professionals that can perform all facets of painting and surface preparation. The work will be completed and the job site left clean and ready to go. We follow up after the job is completed and provide a warranty on our work. At CertaPro Painters, our reputation is based on Certainty — your Certainty of a job well done. We focus on the details of every project — interior and exterior — and we focus on you, our client. We have been serving the South Jersey area since 1995. We focus on residential repaints. Our motto is impeccable workmanship and courteous service. Family run business with the owner present on every job. Award-Winning Residential and Commercial Painting and Decorating Company. Serving the Main Line and Greater Philadelphia area for over 40 years. The most important aspect of any painting project is the preparation. Extensive cleaning, sanding, puttying and caulking are performed prior to painting. Our crews carry company owned vacuum cleaners and cleaning supplies to guarantee that work areas are kept clean. The same Foreman is present at every phase of your project and will be available to you to ensure the work is completed to your full satisfaction. Call us today! TNT Painting is a full service painting contractor committed to quality and dedicated to customer satisfaction. Since 1989, TNT has been servicing Commercial and Residential Properties in the Tri-State Area. Our professional reputation has been built on quality workmanship at a fair price with a full guarantee. Whatever the project you may have big or small, we will complete it in an efficient and timely manner. If your project is updating your interior or exterior of your home, we are there every step of the way from prep work to touching up the final trim. We also work with commercial and property management companies painting shopping malls, offices, apartment buildings and much more. With our experience and expertise we have built long standing relationships with residents and professional companies. Feel free to call us for a free estimate to get your project started. Residential and Commercial Painting, Decorating, Carpentry and Wallcovering. 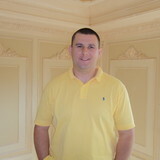 Freedom Contractors was founded in 2007 in the Philadelphia area by Justice Weingart. The company grew steadily in the carpentry and painting fields in its early years, and in 2012 Justice shifted the company’s focus primarily to high-quality residential painting. We want every home to look and feel great when we’re done working on it, but it’s also important to us that clients feel as comfortable as possible while their project is underway. That’s why we maintain clean and orderly conditions for the duration of each project, meet our deadlines, and are quick to respond to clients’ concerns and scheduling needs. Justice now oversees all paint crews and personally makes sure our clients are well taken care of on every job. Throughout the Delaware Valley, our customers appreciate our integrity, courtesy and quality work. We firmly believe that making homes beautiful can make life better for those who live in them, so that's our goal for every home we enter!